We’re trapped in a podcast simulation this week, doomed to continue recording over and over for the amusement of others. 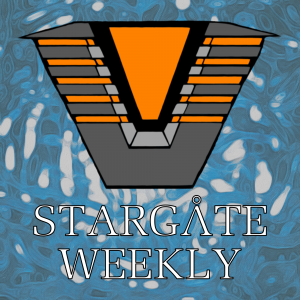 In this very special episode, we talk about the newest addition to the Stargate franchise. In this episode, we wonder why so many SG teams are dedicated to medical support, discuss the difference between carousels and merry-go-rounds, and discuss the finer points of Stargate dismemberment. Maggie Szeder joins us once again to talk about lax security procedures at the SGC, Daniel Jackson leaving his intelligence at home, and the feasibility of using a mouth guard to prevent Goa’uld possession. We’re back, and we have theme music now too! Our coverage of season 2 of Stargate SG-1 starts now.